There are plenty of good eateries in Redford, but not all are created equal – especially when it comes to passing a health inspection. WXYZ’s Andrea Isom visited three eateries in Redford, and two out of the three didn’t quite make the grade. 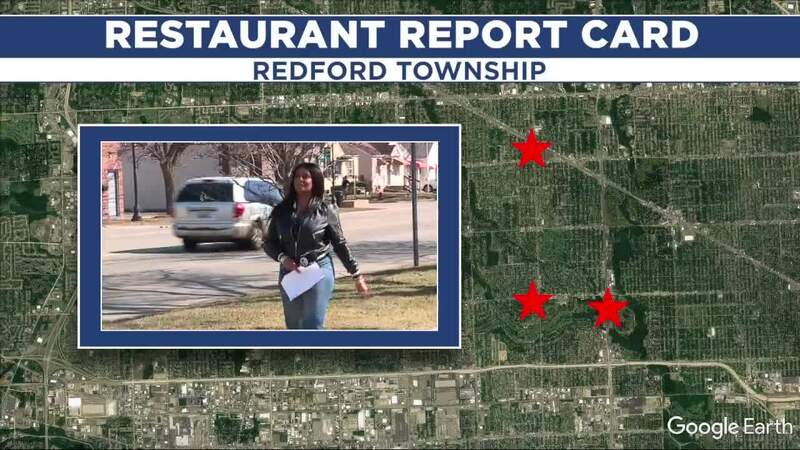 REDFORD, Mich. (WXYZ) — There are plenty of good eateries in Redford, but not all are created equal – especially when it comes to passing a health inspection. WXYZ’s Andrea Isom visited three eateries in Redford, and two out of the three didn’t quite make the grade. Captain Jay’s on Telegraph Road had four priority health violations ranging from contact surfaces and utensils not being cleaned often enough and fish, chicken and shrimp in the prep area stored below the proper temps – which have been a problem in the past. Another repeat violation was chicken not appropriately time stamped. Restaurant employees say the violations have been corrected and management has since changed. Mama Mia’s Restaurant on Beech Daly has been family-owned for 40 years, but the iconic Italian restaurant in Redford had four priority health violations. The health inspector found soup and sauces in the walk-in cooler not dated; expired milk in the cooler; employees using their bare hands to grab spaghetti and food not properly dated. On the flip side, Sandy’s on the Beech on Five Mile Road got a perfecto score. Well done!